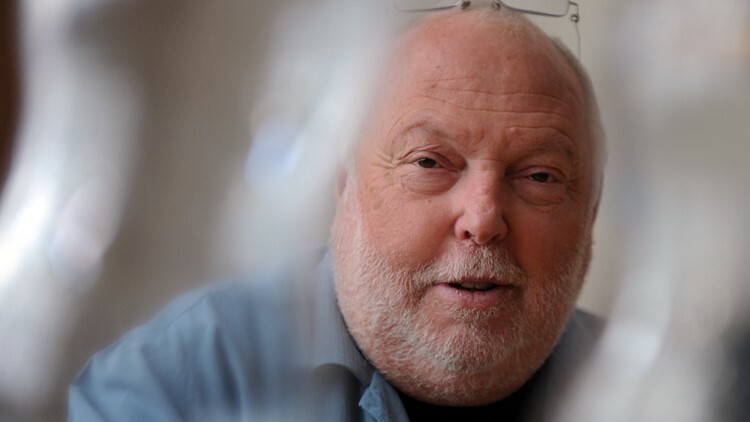 Hungarian-born, US film producer Andrew Vajna speaks during an interview with AFP in Budapest on February 10, 2012. Andy Vajna worked on several "Rambo" films with Sylvester Stallone as well as Madonna's "Evita." BUDAPEST, Hungary — Andy Vajna, a Hungarian-American film producer who worked on several "Rambo" films with Sylvester Stallone as well as Madonna's "Evita," has died. He was 74. Vajna, who enjoyed a state-granted monopolistic concession on Budapest casinos, was recently listed by the Hungarian edition of Forbes magazine as the 18th richest Hungarian, with a net worth estimated at nearly $240 million. In the mid-1970s, Vajna set up Carolco, a film production firm, with Mario Kassar. Besides the Rambo series, the two men were also behind films like "Victory" — starring Stallone, Michael Caine and Pele; "Red Heat" and "Total Recall," starring Arnold Schwarzenegger; and "Angel Heart" and "Johnny Handsome" with Mickey Rourke. After leaving Carolco in 1989, Vajna's films included "Die Hard with a Vengeance," ''The Scarlet Letter," ''Nixon" and "I Spy." He also produced several Hungarian films and was co-owner of Korda Studios, in the village of Etyek, near Budapest, where "The Martian," ''Inferno" and "Hellboy II: The Golden Army" were filmed. Late last year, Vajna was among several businesspeople close to Orban who donated most of their media holdings to a non-profit foundation overseen by an Orban ally, a move which put over 470 publications under even closer political control.